Toshiba wants to address demanding business customers who want a slim and robust laptop with the Tecra R840-11E. 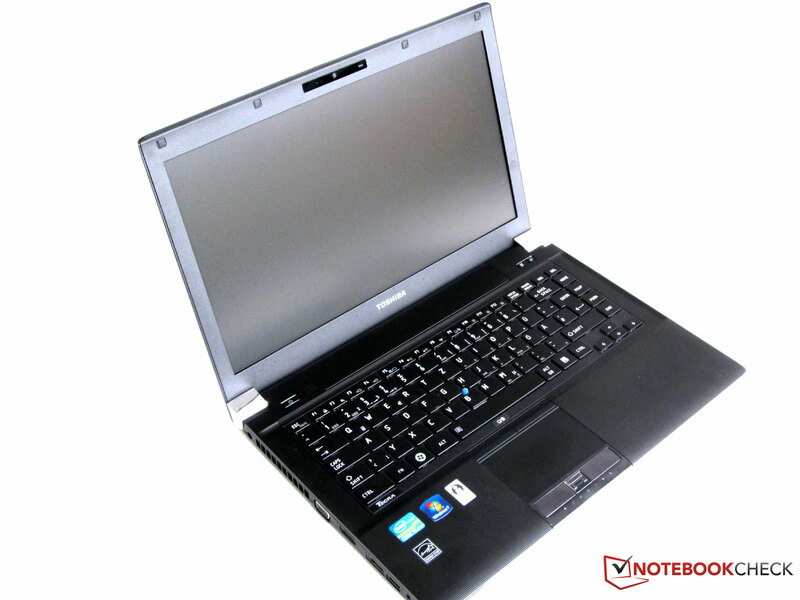 The light notebook of nearly 2 kg is equipped with an Intel Core i5-2520M, a 4 GB DDR3 RAM and a 320 GB hard disk. The 14 inch screen that can display a maximum resolution of 1366x768 pixels is anti-glare. The processor's incorporated HD Graphics 3000 is used for graphics. It borrows the needed video memory from the installed RAM. This graphics solution is more than sufficiently sized for the 14 inch display and office tasks. In addition to WLAN 802.11 b/g/n and the latest Bluetooth version (3.0+HS), the Tecra R840-11E also offers fast UMTS/3G, a port replicator (docking port) and an ExpressCard slot (34mm). Toshiba's recommended retail price for the Tecra R840-11E is 1349 euros. Besides the model, Tecra R840-11E, Toshiba also has other models from this range with various hardware configurations available: R840-109 (Core i5-2520M, AMD Radeon HD 6450M), R840-116 (Core i7-2620M, AMD Radeon HD 6450M), R840-128 (Core i5-2410M, Intel HD Graphics 3000) and the R840-14F (Core i3-2310M, Intel HD Graphics 3000). The street prices vary from just under 1000 euros up to 2000 euros for the top models. 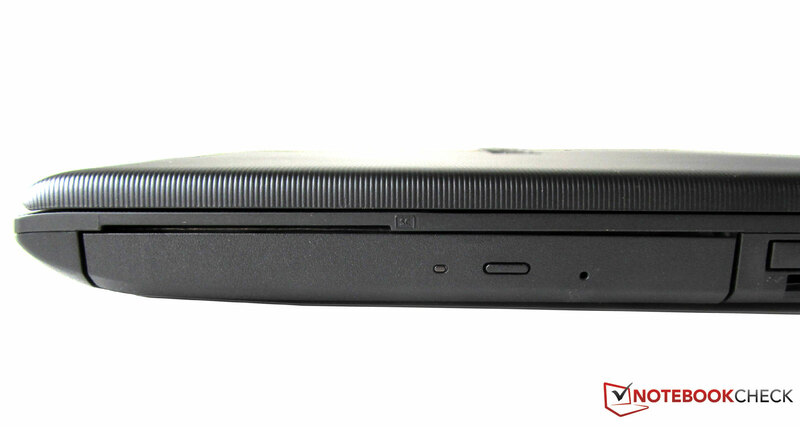 The partly 2 cm thin business laptop makes a good first impression in terms of looks. The black case strikes with its plain look that is underlined by its fine lined surface texture and both silver display hinges. 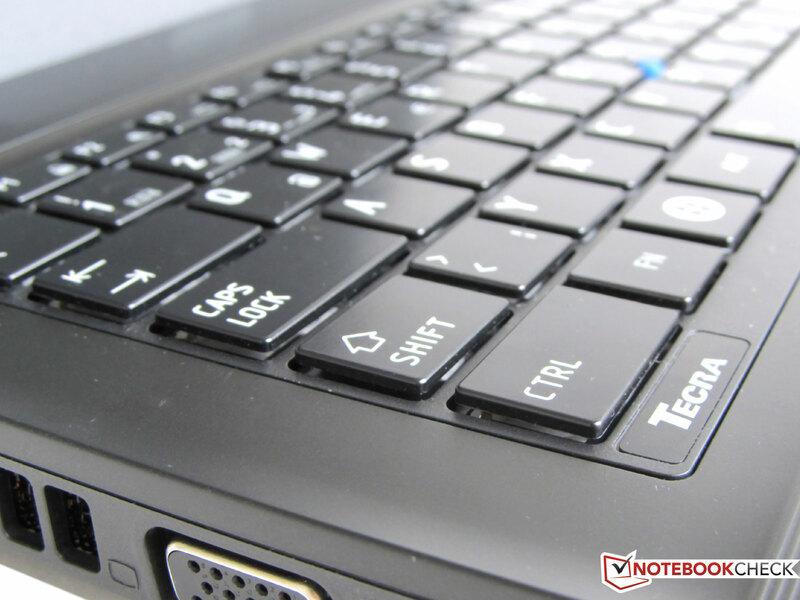 The design corresponds 1:1 to the model Tecra R850-11P (15.6 inch display, Core i5 2410M, Intel HD Graphics 3000) that we were allowed to test for Notebookcheck in May 2011. The display lid can easily be opened single-handedly and is very stable. We weren't able to press against the display from the back even with a lot of force. The Toshiba Tecra R840-11E even successfully endured the display bezel twisting test. Both display hinges have a highly polished cover that provides a good contrast to the otherwise black case. The hinges have a good grip and keep the display secure in every position. 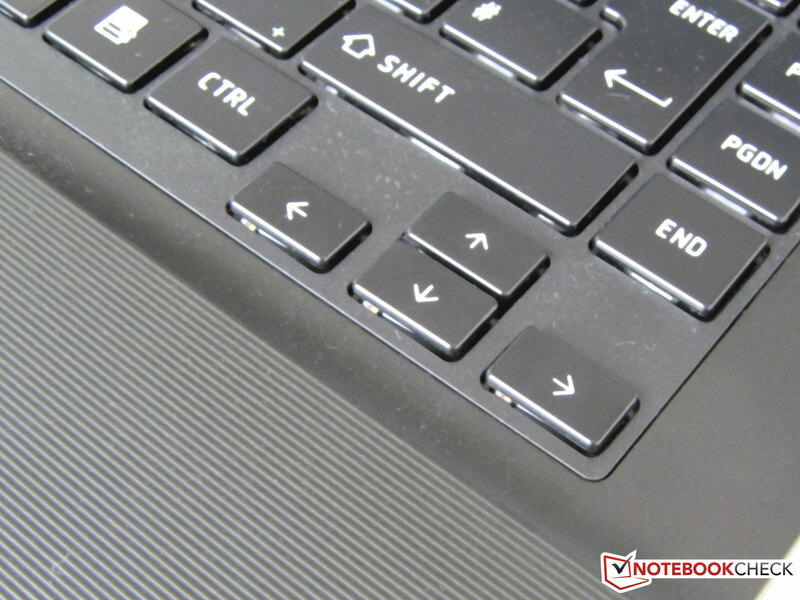 A basic, black keyboard and a pleasantly sized touchpad materialize when the laptop is opened. However, it must be said that the notebook has a limited opening angle. 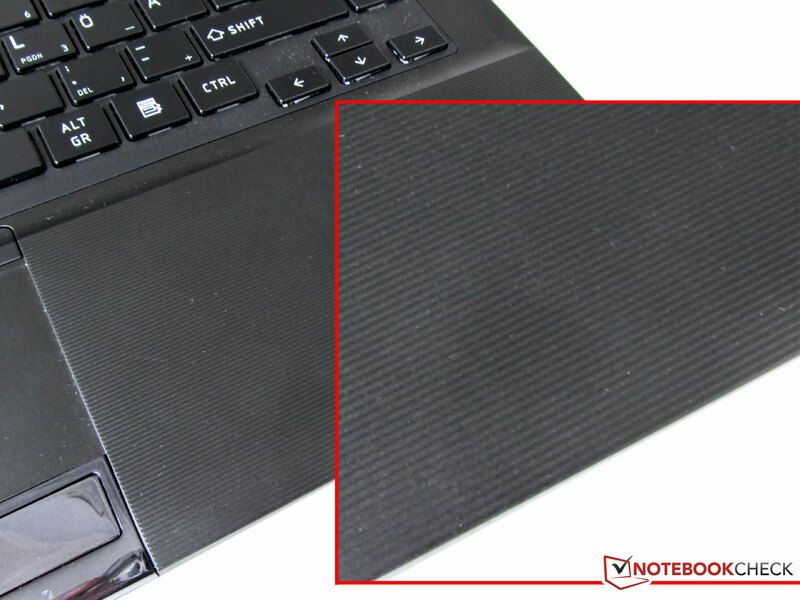 The pad is supposed to be fairly resistant to environmental influences, but dust and fingerprints are quite visible after use. The stability over the entire notebook is ensured despite its small dimensions of 19.9x341x239 mm. Neither the display bezel nor the wrist-rest or the keyboard yielded under pressure. 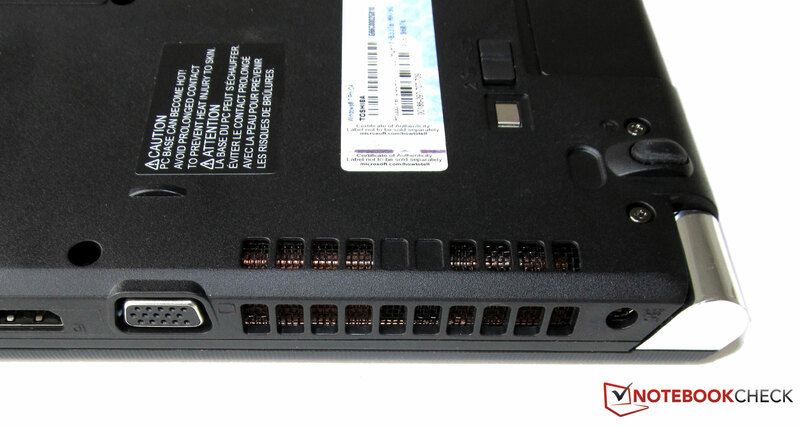 It gets very crowded on Toshiba's 14 inch laptop sides. The manufacturer has only placed the interfaces on the left and right on this model. Ports and sockets are neither found on the front nor on the rear. 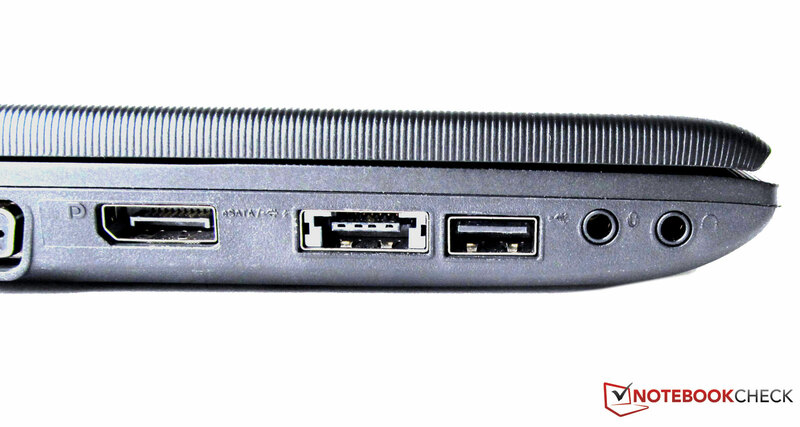 There are two audio sockets, an eSATA/USB 2.0 combo port with USB sleep-and-charge function, both a display port/VGA and the DC-in socket on the left. It also gets quite tight on the right in terms of ports. 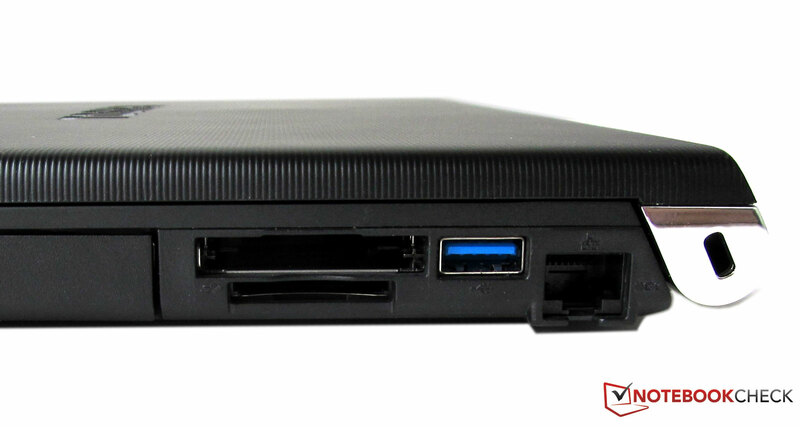 Located here: a DVD burner, a SmartCard slot, the card reader for SD/MMC memory cards, the ExpressCard slot (34 mm), a USB 3.0 port and the Gigabit LAN socket (RJ45). 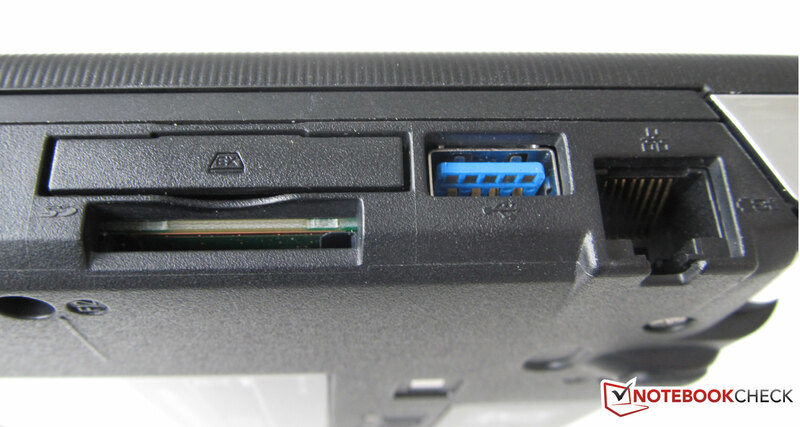 Besides that, there is an audio in and out, an eSATA/USB combo port, a USB 2.0 port and a display port socket. Toshiba has admirably managed to leave enough room between the single ports despite the many various sockets and expansions. Since the interfaces are distributed over two sides, you have many cable trees and "docked" things on the left and right - when fully occupied. 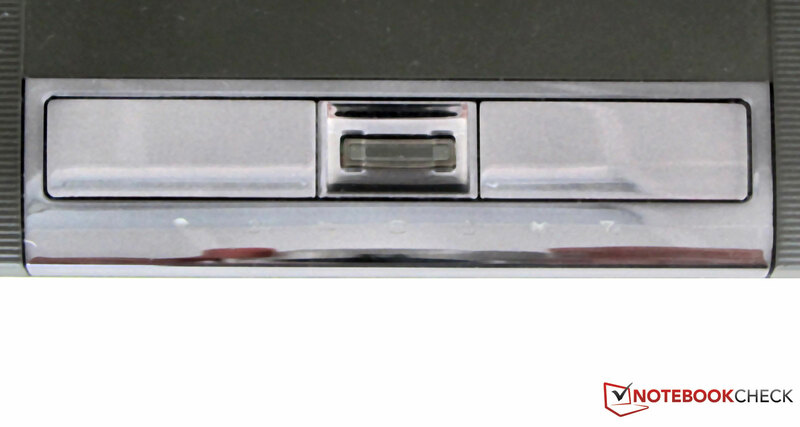 There is also a port for an optionally available Toshiba Hi-Speed Port Replicator II on the device's bottom. It costs about 210 euros and bids 2 USB 3.0s, 4 USB 2.0s, 1 RGB, 1 mic, 1 line out, 1 RJ45, 1 serial port, 1 HDMI, 1 display port. Various options are available in the Tecra R840-11E for connecting to the Internet or corporate network. First, the cabled option via the 10/100/1000 compatible LAN socket on the side. Besides that, the laptop can also go online via the built-in wireless LAN module that works with the standards IEEE 802.11 b/g/n. The Tecra R840-11E also has Bluetooth 3.0 and 3G/UMTS. The Tecra R840-11E is equipped with many security functions. Besides the fingerprint sensor, a SmartCard reader, BIOS with CompuTrace support, TPM Embedded Security Chip 1.2, Enhanced Pre-Boot Security and Intel's Anti-Theft technology belong to them. Another security feature is the 3D shock sensor that parks the hard disk's write / read head in a safe position in case of improper handling. The customer gets a lot of tools and programs that are preinstalled for the most part besides the laptop. 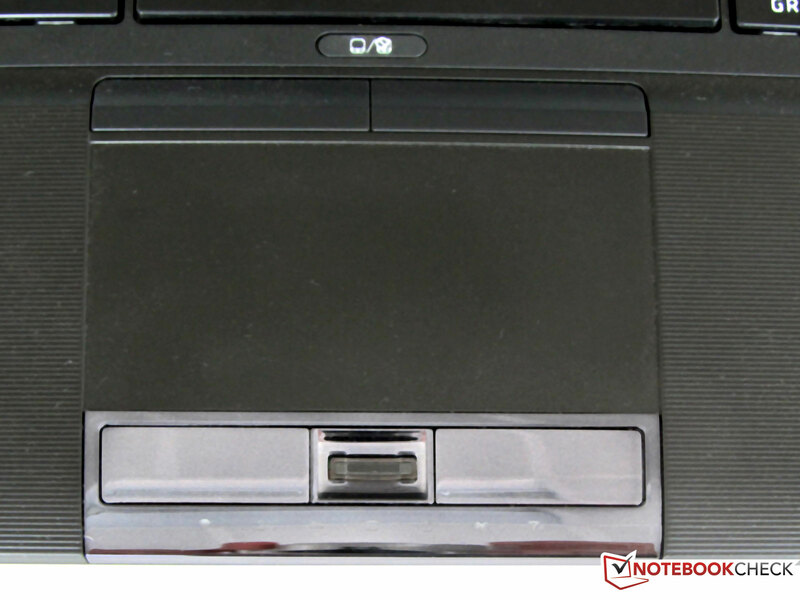 Toshiba's Bluetooth Stack/Monitor, Disc Creator, face recognition software, McAfee Internet Security, Recovery Media Creator, Nero BackItUp & Burn Essentials and Nero Multimedia Suite 10 Essential are installed on the notebook. Versions of Microsoft's Word and Excel are also installed. They however only have a limited functionality and annoy the user with advertisement popups. Print is only found in the way of a few brochures and notes. Windows 7 Professional 64 bit version is used as the operating system. It is stored on a recovery partition in form of image files. The warranty period is 24 months, including an international bring-in manufacturer warranty for Europe, the Middle East and Africa. A free pick-up service is also included (Germany and Austria) when the repair is registered via the Toshiba hot line. The touchpad, with multi-touch and gesture control, can be disabled. The Tecra R840-11E's keyboard is comprised of 87 single keys, whereby more than a third of the keys have multiple functions. The lack of a separate number pad is clearly noticed on the number of double assignments. The single keys stand alone and are easy to use. Typing during the test period was very pleasant and there weren't any disagreeable typing noises audible. An AccuPoint is located in the center of the key field, quasi as a mouse replacement. It is a pointing device as found in many business models. The AccuPoint responds very fast and the mouse cursor swishes almost invisibly from the right to the left and vice versa. The speed and accuracy can be individually modified in the system control. 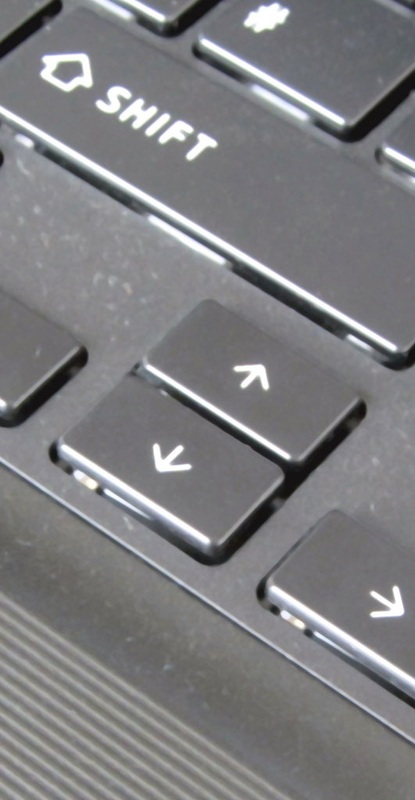 The four arrow keys turn out very small on the Tecra R840-11E and are on the same level as the other keys. 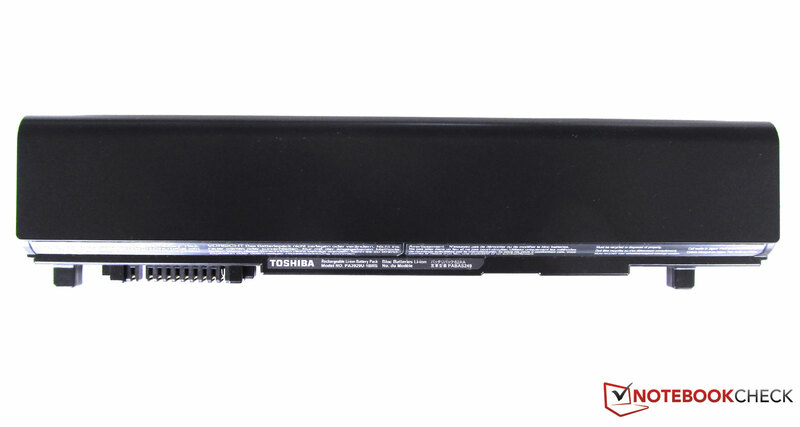 Toshiba has concentrated on the most important keys in the layout. The Eco Utility and wireless display function can be opened via two shortcut keys. Both keys can't be remapped with other functions. A fairly big touchpad is in front of the keyboard. It supports both multi-touch inputs and gesture control. It also has an area that can be used for 2 way scrolling. The touchpad surface's gliding traits are good. 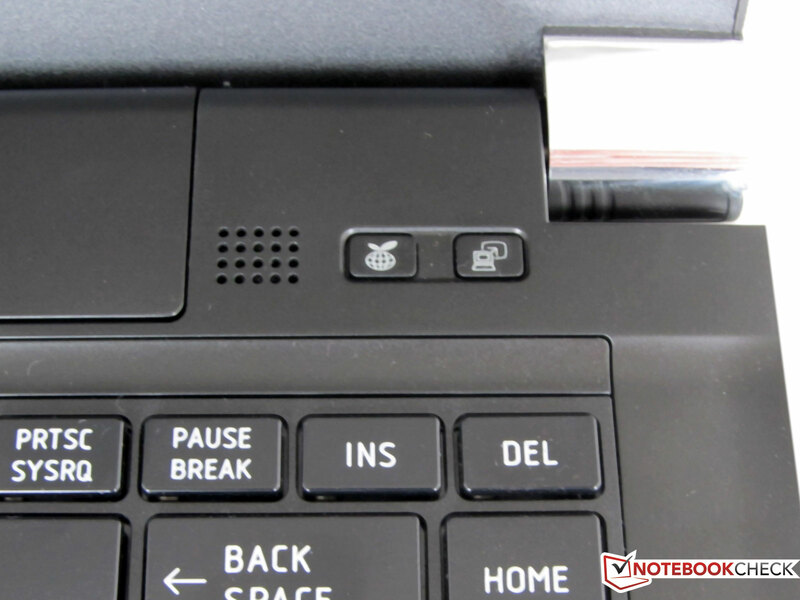 There are two keys in front and above the touchpad that manage the mouse key functions. 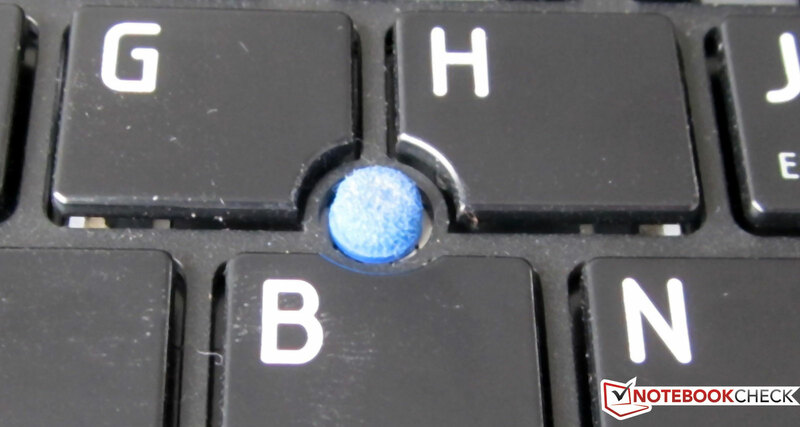 The touchpad can be en- and disabled via a separate key, located between the touchpad and space-bar. Both mouse keys are also disabled when the touchpad is deactivated. The upper two remain enabled and can still be used in connection with the AccuPoint. 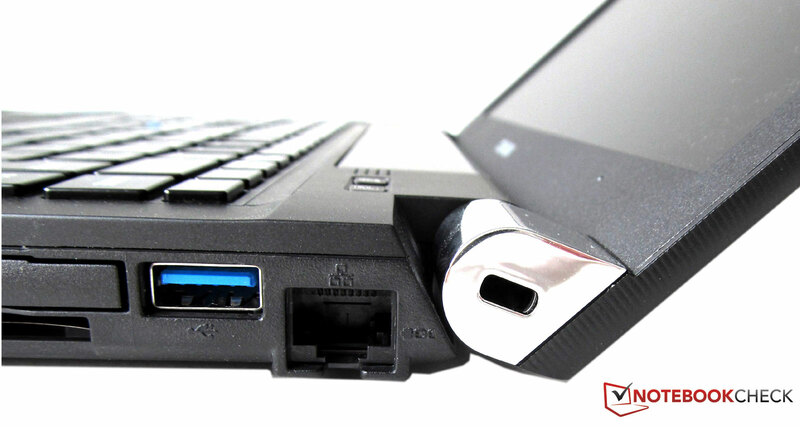 A VGA webcam with built-in microphone is installed centrally above the laptop's display. It can be used with Skype or other messenger programs. The Tecra R840-11E is delivered with a matt 14 inch display that has the standard resolution of 1366x768 pixels in a 16:9 format. The screen is AR coated and hardly throws back any reflections. Additional monitors can be connected via VGA, respectively the display port socket so that a multi-display workplace can be created. The internal screen's picture can either be extended or cloned on external displays. The external resolution can be as high as 2048x1536 pixels at 100 Hz via the display port. 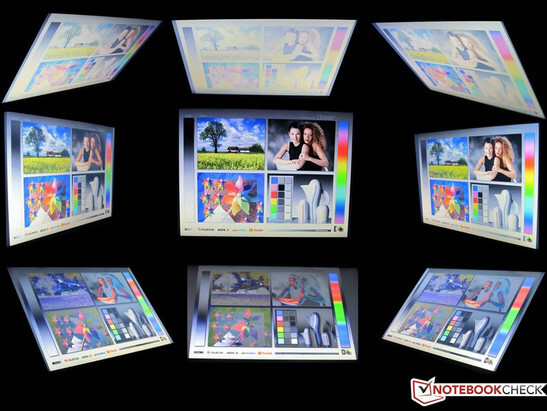 The 14 inch display has a backlight and reaches a maximum brightness of 262 cd/m2. The differences in the nine measuring sectors are very high, though. While a maximum of 262 cd/m2 was determined on the screen's center, the test device only had a rate of 188 cd/m2 on the bottom right. This makes a considerable difference and is visible to the naked eye on dark display contents. The backlight's average was 222 cd/m2 on average. The black value of this laptop is 1.87 cd/m2. This results in a poor contrast ration of 129:1. The reproduced black is therefore not deep black, but has a light gray tinge. The screen's color spectrum, which becomes particularly important in applications such as DTP, CAD and picture editing, is remote from the Adobe RGB (t) and Apple RBG (t) reference. The same applies to sRGB (t). Outdoor use is fairly well possible with this business model from Toshiba. Contents on the Tecra R840-11E's anti-glare, 14 inch screen are well legible in outdoor use. The image only disappears in direct sunlight. The otherwise sufficiently vivid colors disappear especially on bright pictures or video scenes. 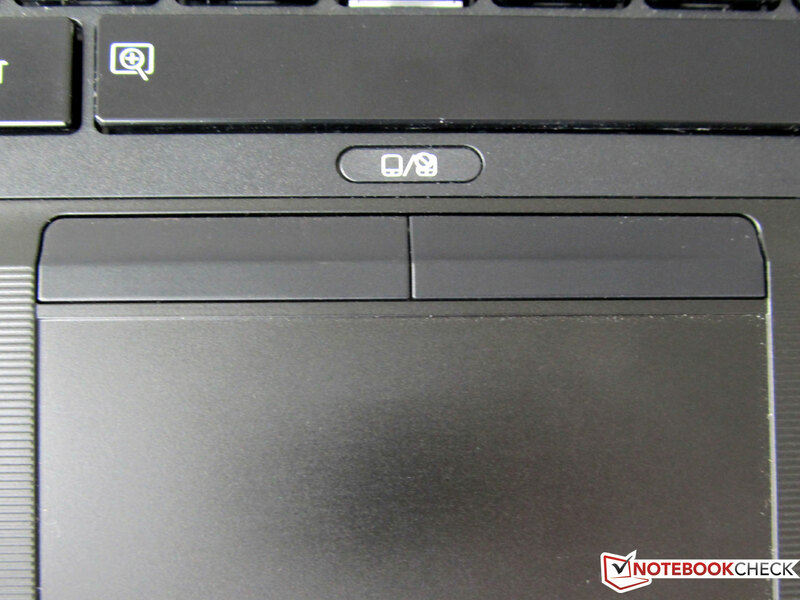 The viewing angles also play a major role in the Toshiba laptop's outdoor performance. Readjusting the display brightness only helps to an extent. In return, a shady place helps sooner. The possible viewing angles clearly leave a lot to desire. When you're sitting directly in front of the screen, the contrast and color quality is very good. Lateral viewing angles are also possible as long as the display isn't tilted back or forth. The picture inverts, respectively fades very fast when the display's angle is additionally increased / decreased. An Intel Core i5 2520M processor with a base clock of 2.5 GHz does its job inside the Tecra R840-11E. The single cores can be increased up to 3.2 GHz by the Turbo Boost technology. It happens, however, completely automatically. The user can't intervene. 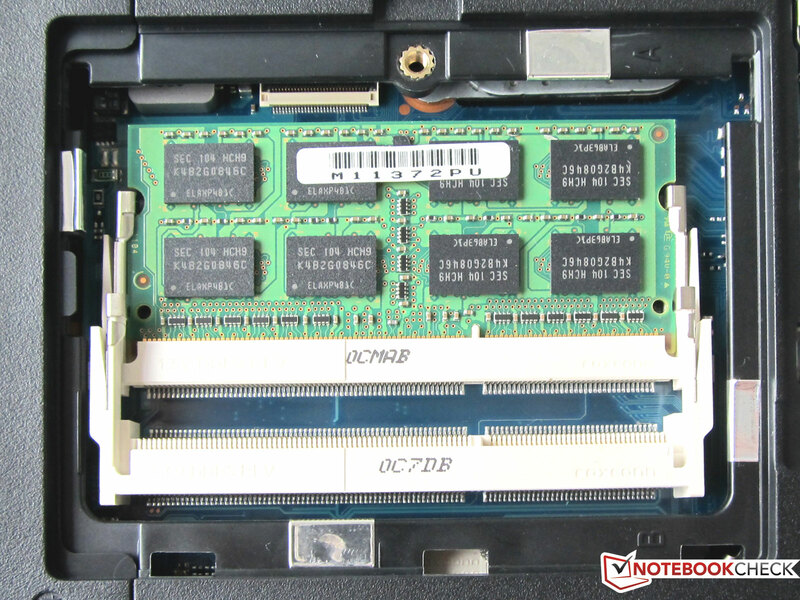 Detailed information about the Intel Sandy Bridge dual core processors can be found in this article on Notebookcheck.net (CPU comparison test). The Intel HD Graphics 3000 that is used in the Tecra R840-11E is directly incorporated into the CPU and is DirectX 10 compatible. Moreover, the Intel HD Graphics 3000 can fall back on the processor's 3 MB level 3 cache. This laptop has a 4 GB DDR3 memory (1333 MHz) available as its RAM. 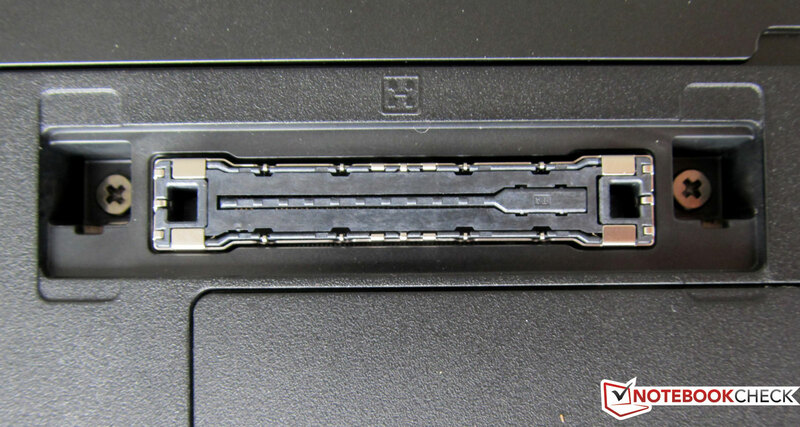 The notebook can be expanded up to 8 GB via the second empty S0 slot when required. The maximum clock of 3.2 GHz was only reached at the beginning of the simulated stress test where several programs ran simultaneously. The hotter the CPU cores got, the less the turbo mode was used. The CPU clock settled between 2.5 and 2.7 GHz. However, it never fell short of the CPU's base clock of 2.5 GHz. That is to say, throttling couldn't be observed even in an extreme scenario. 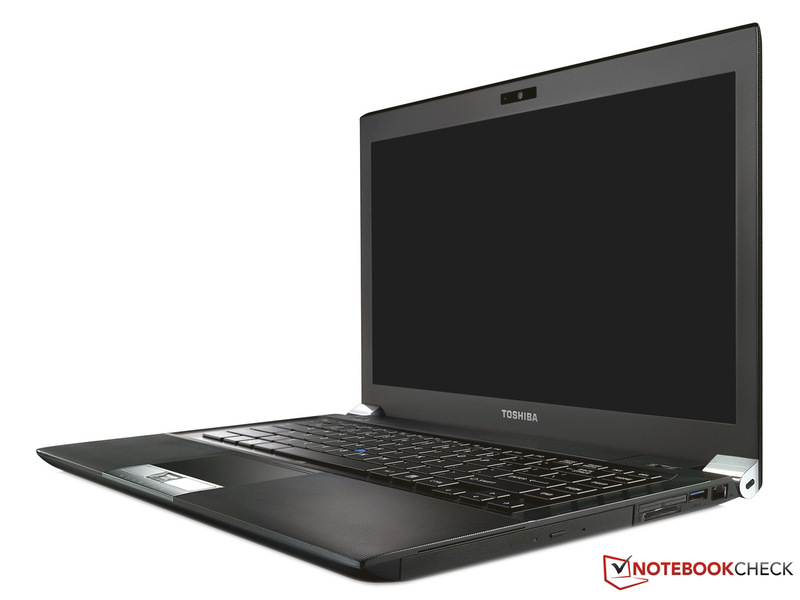 The Toshiba Tecra R840-11E had to go through many tests in the benchmark marathon. In addition to the cross-component test tools, such as PCMark 05, PCMark 7 and PCMark Vantage, which assess the entire bundle (CPU, GPU, memory and hard disk), the hard disk's speed was also tested. Furthermore, the laptop had to endure a few synthetic benchmarks from Futuremark. These test tools specify how fast the laptop's graphic functions are. The Tecra R840-11E reaches 3089 points in the Cinebench R10 Single Rendering (64 bit) test. It is 10374 points in multi core rendering (64 bit). While the multi core test's score is on the expected level, the single core clearly lags behind its 2520M relatives, who usually reach around 5000 points. We were curious about that and ran Cinebench R10 several times. The results were astounding: two of four runs were on a level of 5000 and the other two were beyond the pain limit. Fortunately we could run the benchmark on a second, identical test laptop. The irregularities that our Toshiba test device presented couldn't be replicated by the second one. Therefore, we assume that it is a device-specific problem. The Cinebench R10 Single Rendering (64 bit) test recorded a score of 5135 on the second, identical laptop. In comparison: The HP Probook 6460b, which is also equipped with a 14 inch screen, Intel Core i5 2520M and HD Graphics 3000, achieved considerably better results in these benchmarks: CB R10 Single: 5051; CB R10 Multi: 10554. The bigger brother, Toshiba R850-11P (i5-2410M CPU) achieved 4521 in the Cinebench R10 Single test, respectively 9460 points in the Multi Core. The notebook scores 5888 points in PC Mark Vantage. The similarly equipped Probook 6460b achieves a considerably higher score of 7703 points. Toshiba's 15 inch version, R850, presents a score of 5913. The score can first be lifted beyond 10000 points when a solid state drive (SSD) is used. It would also improve the subjectively perceived speed. We check for possible latency problems, which could lead to synchronization errors with external hardware at the interfaces, with the DPC Latency Checker program. The Toshiba Tecra R840-11E is inconspicuous here. Thus, there is no danger of limitations, especially in the field of audio and video. The incorporated HD Graphics 3000's graphic and 3D performance wasn't really impressive in the 3D benchmark programs. The dedicated graphics achieved a weak score of 3650 in 3DMark06. However, this is still within the expected range. The same applies to 3DMark05. The Toshiba laptop managed 5328 points here, which is comparable with a Geforce 9500M GS or a Radeon HD 4570. The 3DMark11 benchmark couldn't be executed due to DirectX 11 incompatibility. 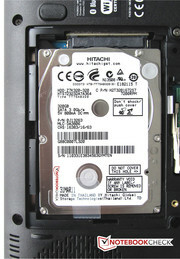 A 2.5 inch disk from Hitachi is used as the hard disk in the Tecra R840-11E. The HTS723232A7A364 supplies a gross memory capacity of 320 GBs. The HTS723232A7A364 is in an upper range with a processing speed of 7200 revolutions per minute and the SATA II interface. 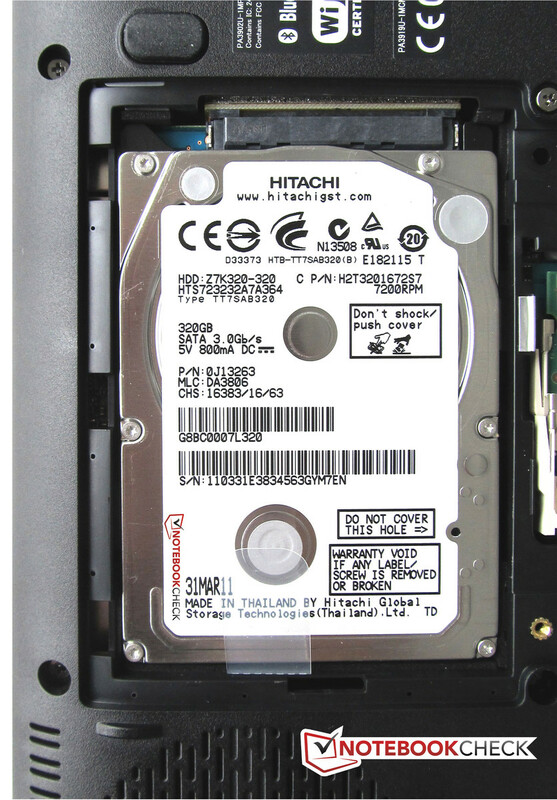 The Hitachi hard disk is equipped with a 3D motion sensor that parks the disk's write / read heads immediately into a safe position in case of intense vibrations. This is supposed to prevent a possible headcrash and data loss. According to the manufacturer, drops from up to 76 cm are to be withstood without data loss. 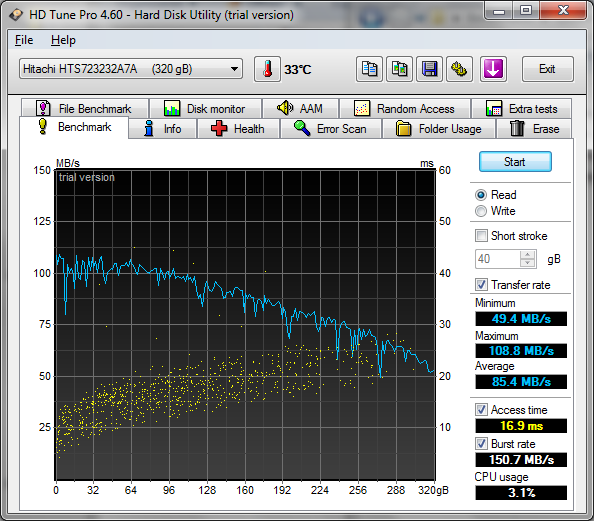 The average transfer rate of 108.8 MB/s was measured with HDTune in the test. We could only evoke a bit less in CrystalDiskMark 3.0. CrystalDiskMark 3.0 determined a smooth rate of 101 MB/s, whereby we ran it five times. The burst rate was 150.7 MB/s at a CPU capacity of 3.1 percent in the test. We tested if it's possible to also play on the Sandy Bridge CPU's incorporated HD Graphics 3000 (DirectX 10.1 driver: 15.10.2279) with a few games. The frame rates that we could determine in Fifa 11 and Mafia 2 were on the expected, even if low, level and correspond to the test rates in our database. The Tecra R840-11E suffers a clear setback in Drift 3. Rather than the expected 66 (low), 29 (medium) and 18 (high) frames per second, we could only determine 49, 23 and 18 fps. We briefly tested which games run on this incorporated notebook graphics with a few up to date games. The results can be found in our comprehensive database "Computer games on laptop graphic cards". The resulting waste heat is conveyed out of the case via this lateral "exhaust"
Toshiba's Tecra R840-11E is a quiet companion. We could only measure a noise level of around 31 dB (A) in office mode. DVD rendering was also measured as a low operating noise of 34.7 dB (A). The fan had to perform higher in the stress test and was more audible with 43.9 dB (A). However, the stress test that we conduct hardly ever corresponds to routine use (100% CPU and GPU load) because it is a scenario remote from practical use. 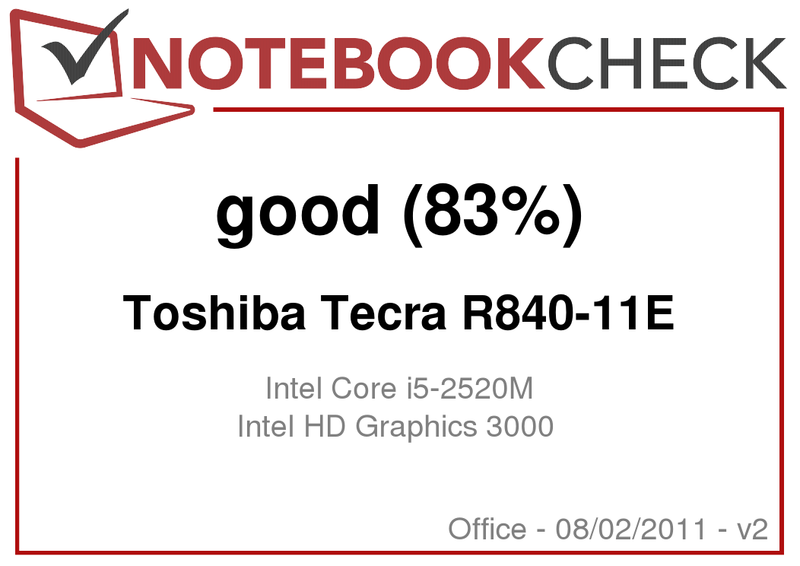 Toshiba's Tecra R840-11E is otherwise a quiet laptop, even during moderate office load, with an average of 33 dB (A). The system was really fired up with Furmark and Prime95 to simulate the "worst case". We could measure this with a temperature increase of more than 10 degrees Celsius. The measured temperatures on the case increased considerably with this load. While the maximum rates were only about 31.5 degrees Celsius in idle, the temperature increased up to 42.9 degrees Celsius during load. However, the case didn't get warmer than a maximum of 32.6 degrees in the area of the vital wrist-rests. We measured 29.2 degrees during low load and 48 degrees during maximum load on the power adapter. You shouldn't have high expectations on the two built-in speakers in regard to sound. Both speakers are extremely small and only made for nothing but system sounds. The playback quality especially suffers during rendering movies or music. You should use an external audio system in this case. Nevertheless, the speakers are sufficient for use with Skype or another messenger program. The laptop's consumption is between 7.3 and 11.1 watts in idle, respectively very light load. The rates climb up to 33 watts, respectively a maximum of 55.6 watts during full load. The laptop only consumes 0.05 watts when it's turned off and a just as modest 0.4 watts in standby mode. The tool, BatteryEater, which we use for determining the battery life, has various measurement scenarios with different pre-settings. The Classic test assesses the minimum runtime when the hardware is put under load, WLAN is enabled and maximum display brightness is set. A complete battery charge was used up in only short 89 minutes in this test scenario. Reader's test was started in the second run. It simulates reading a text document with a disabled WLAN adapter and in minimum display brightness. The battery lasted for 503 minutes here, which equals 8 hours and 23 minutes. The Toshiba had to be plugged into an outlet after 6 hours and 45 minutes of "surfing via WLAN" at pleasant display brightness. You can watch a 138 minute DVD movie in one piece in battery mode. Longer movies aren't possible. The Tecra R840-11E's battery charge time is 222 minutes, so almost 4 long hours. 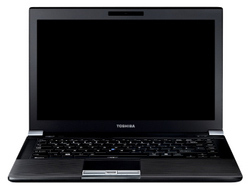 Toshiba has created a conveniently small and light business laptop with the Tecra R840-11E. The black magnesium case's workmanship is exemplary. 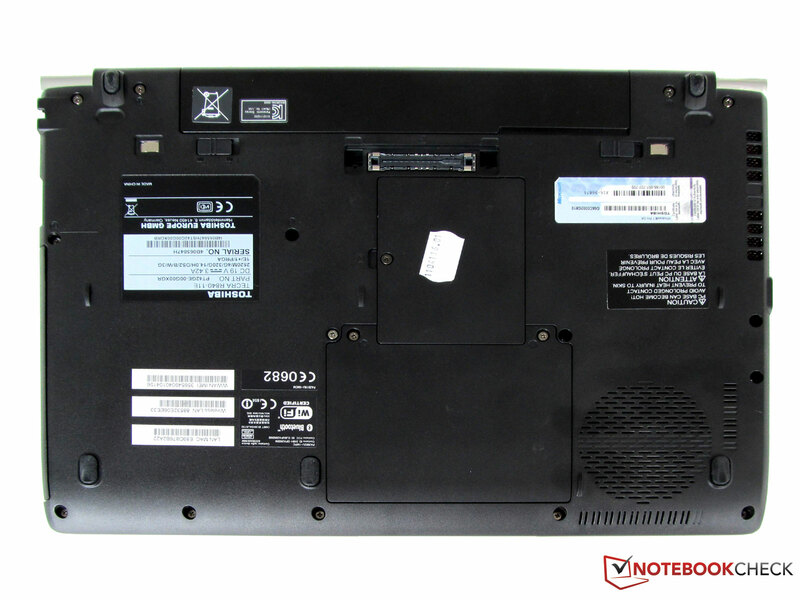 Neither the display bezel nor any other parts can be depressed on the Tecra R840-11E. The Core i5 2520M's and incorporated HD Graphics 3000's available performance is absolutely sufficient for office and Internet applications. The notebook offers many installed communication options, such as wireless LAN, Bluetooth and 3G (UMTS/HSPA) as a special treat. The anti-glare 14 inch laptop screen allows outdoor working. However, the screen could do with a better contrast. 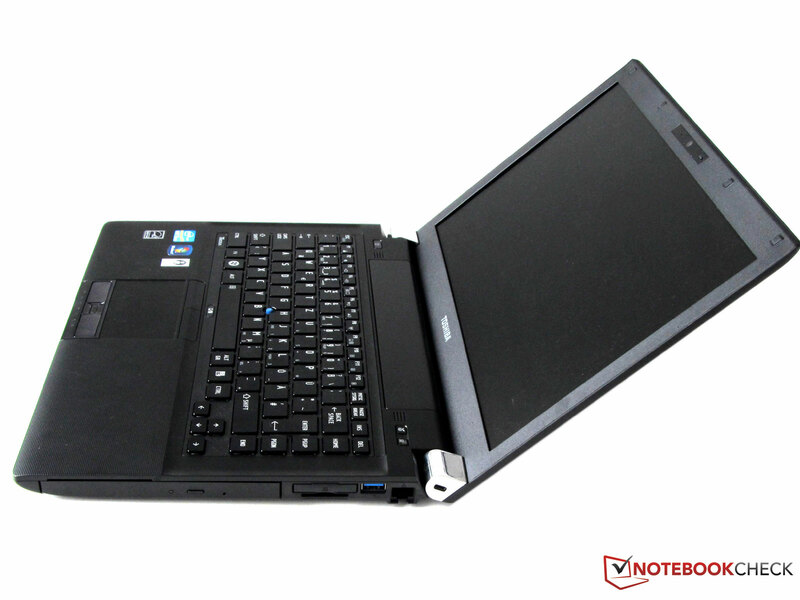 The built-in 320 GB hard disk is very fast and gives the notebook the necessary write / read performance. Positive: An discreet soundscape in office mode, a good battery life of about 6 - 8 hours depending on the application scenario. The recommended retail price for the Tecra R840-11E with this configuration of a Core i5 2520M, a 4 GB DDR3 RAM and a 320 GB hard disk is 1349 euros. The street price at the time of the review was still steep 1200 euros. The alternative models from Toshiba are listed as follows: R840-109 (Core i5-2520M, AMD Radeon HD 6450M) 1599 euros; R840-116 (Core i7-2620M, AMD Radeon HD 6450M) 2249 euros; R840-128 (Core i5-2410M, Intel HD Graphics 3000) 1099 euros and R840-14F (Core i3-2310M, Intel HD Graphics 3000) 1199 euros. 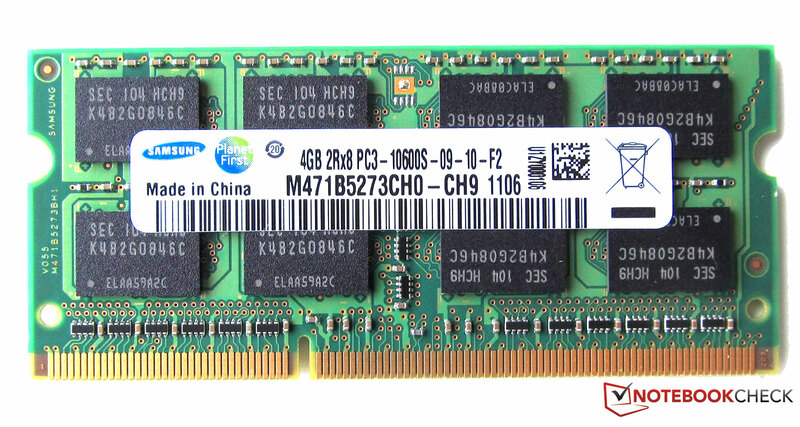 The 4 GB DDR3 module. External monitors can be controlled via VGA and display port. Both hinges gleam in a chrome look. The CPU's power loss is dissipated via this opening. The copper cooling fins can be recognized well. The 6 cell lithium ion battery. A hard disk with a capacity of 320 GB is installed in the Tecra R840-11E. One of the two S0 slots is empty. 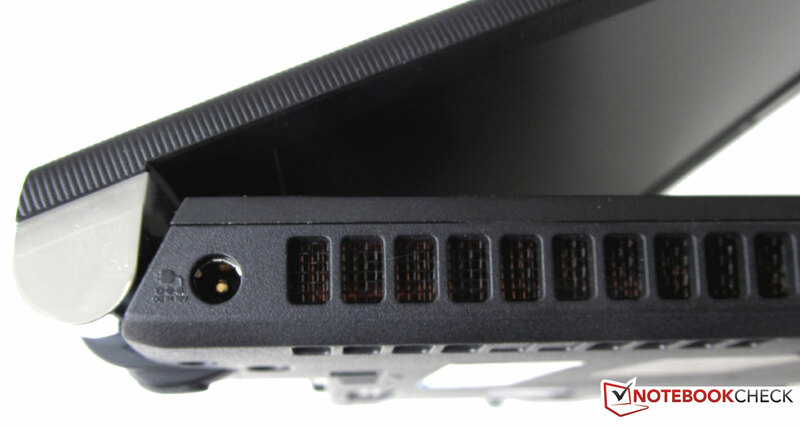 There is a port replicator port on the notebook's bottom (docking station). Fairly big touchpad with 4 mouse keys. The business laptop has two hot keys. 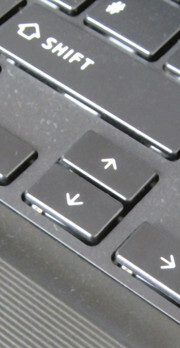 A pointing device is found in the keyboard's center. 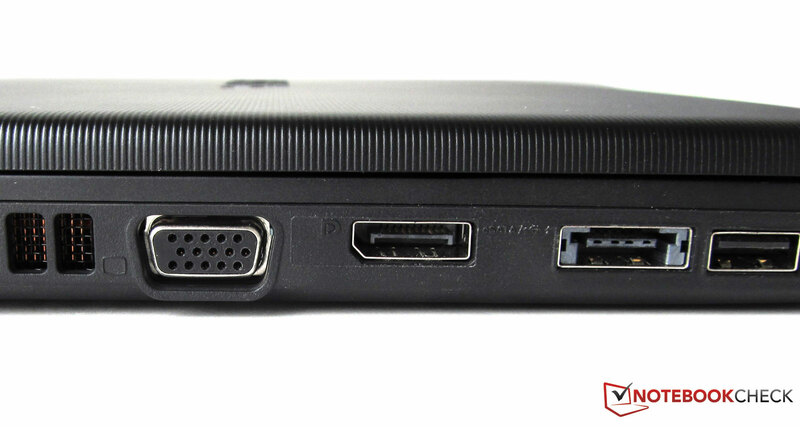 There is little room between the lateral sockets and ports. It's quite tight among the ports. A SmartCard reader is built-in above the DVD drive. 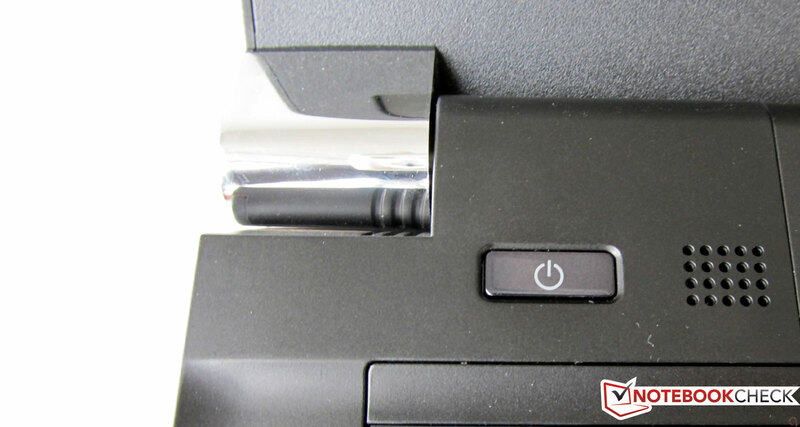 A PC ExpressCard slot (34 mm) is above the flash memory card reader. 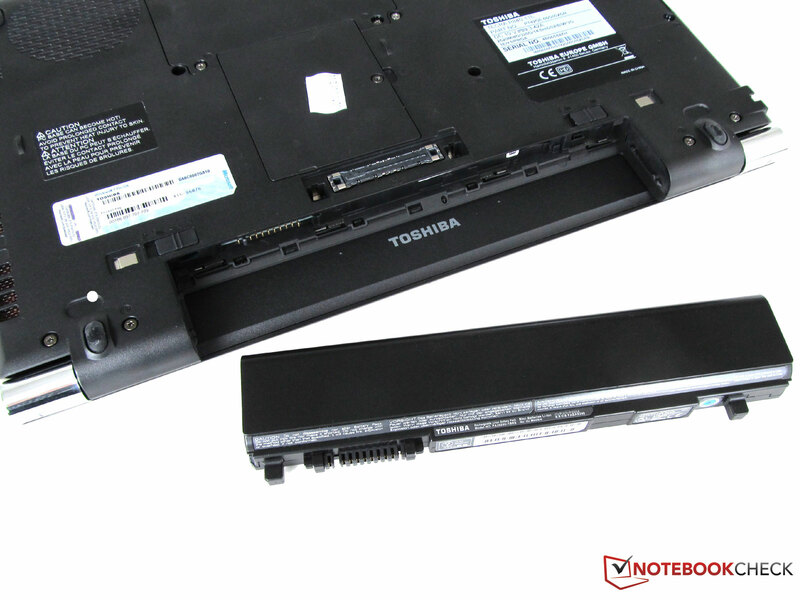 We find the low operating noise very pleasant about the Toshiba Tecra R840-11E. Also, the good connectivity (LAN, WLAN, Bluetooth, 3G). A better display with higher contrast and better viewing angles. The quiet fan that first gets clearly audible in the stress test.